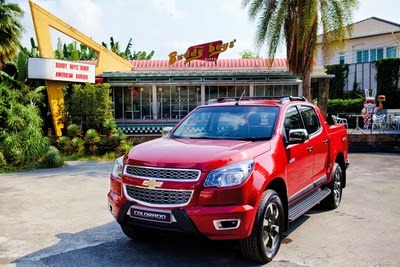 BANGKOK, THAILAND – Chevrolet Sales Thailand invites visitors to the 36th Bangkok International Motor Show to experience “The Delivery,” an innovative virtual-reality (VR) off-road adventure ride through New Zealand in a Chevrolet Colorado pickup truck. This unprecedented motor show attraction is just one of the Colorado-related highlights at Chevrolet’s booth this year. 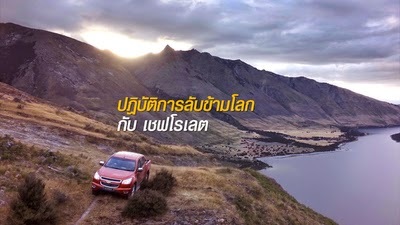 The brand also is showing the newly launched, top-of-the-line Colorado High Country, a premium pickup truck designed to raise the bar on exterior styling and interior refinement in Thailand’s highest volume vehicle segment. “We want our customers to experience the capabilities of the Colorado in a tough and rugged environment. It would be impossible to take all our customers on an off-road adventure in New Zealand, so we are bringing the location and the action to them via this virtual reality simulation,” said Una Tan, marketing director of Chevrolet Sales Thailand. “In addition to experiencing ’The Delivery’ ride, customers can look forward to seeing the great new Colorado High Country, which is impressive in its own right, because it redefines what a pickup truck is all about – it’s not just a work vehicle, it can also be a lifestyle choice and personal statement,” Tan added. Instead of employing computer-generated (CG) graphics, ‘The Delivery’ uses real and actual video footage. A Colorado was fitted with an array of immersive technology to capture the scenes and highlight the truck’s capabilities. Seated in the front passenger seat of a specially prepared Colorado, ‘The Delivery’ participants will be virtually transported to the backcountry of New Zealand to take part in an incredible and mysterious off-road adventure. The mission involves driving on rugged terrain through spectacular landscapes and splashing through river crossings, to deliver a mysterious box. The experience is created using high technology from Oculus Rift – the World Leading Virtual Reality Company, a new virtual reality headset that has become popular in gaming. The technology uses dome-based video projection, made complete with real-time, interactive technologies that allow participants to hear, see and feel more than they imagine. The simulation uses advanced technology to track head movement, allowing participants to look around the virtual world just as one would in real life. Additionally, ‘The Delivery’ participants will be able to share their experience on their personal social network pages. Launched to the media just prior to the motor show, the High Country introduces a new level of premium to the pickup segment in Thailand. The ‘High Country’ nameplate takes inspiration from Chevrolet’s top-level full-size pickup truck sold in North America. Aimed at the higher echelon of the urban populace, High Country’s exterior features Dark Chrome Mask headlamps, dual tone light grey and black grille and nudge bar, and a glossy B-pillar veneer. Further separating it from the pack are transverse roof-rack bars, a stylized sports bar, chromed rear-door belt-line molding and mirror scalps. Completing the upmarket look is a chromed tailgate handle. 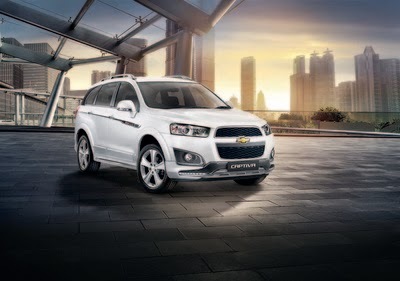 A set of 18-inch wheels give High Country a tough, rugged and imposing yet urban look. Inside, High Country features electrically-powered six-way adjustable driver’s seat, new premium-grade ‘Brown Stone’ leather and glossy piano-black trim for the dashboard, center console and steering wheel. High Country will also be equipped with smart media system featuring smartphone connectivity, pictures, videos, MP3 and navigation. It will also be equipped with a rear view camera with dynamic guideline and rear parking sensor technology that ensures absolute safety and precision when reversing. 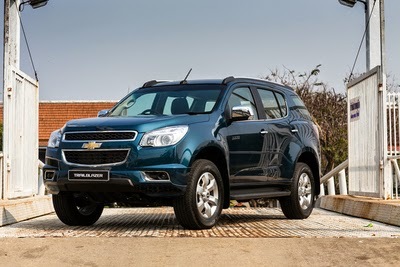 The recently-launched Trailblazer also will be showcased. This upmarket model also features piano-black interior trim, ‘Brown Stone’ leather seats and reverse camera. Powering both the High Country and Trailblazer is the proven second-generation Duramax four-cylinder turbo-diesel engine. The 2.8L variant produces power and torque of 200 hp(147 kW) at 3600 rpm and 500 Nm at 2,000 rpm respectively; outputs that rival and even exceed those from bigger engines. This makes the High Country and Trailblazer 2.8L the most powerful and torquey in its class. Other vehicles on display include an exciting ‘All Black’ show version of the Trailblazer. The off-road themed 'All Black' version features a winch, 20 inch alloy wheels, mud-terrain tyres, roof rack, special roof-mounted fog-lights, a snorkel for deep water wading and scratch resistant matt black body wrap. A special accessorized version of the Chevrolet Colorado High Country will also be on display in addition to special versions of the Cruze and Sonic including the Spin. Chevy Plus members can also relax at the Chevy Plus lounge. Over at the ‘Football Activation’ corner, fans of the sport and especially supporters of the Manchester United football club, can have the chance to ask their favorite Manchester United players questions. All they need to do is to be photographed in a Manchester United jersey have their question recorded and pay a visit to Chevrolet’s social media page. Chevrolet is located at booth A12. The 36th Bangkok International Motor Show 2015 is open to the public from 25 March to 5 April, 2015, from 12:00 pm – 22:00 pm daily. The event is located at Challenger Hall 1-3, Impact Muang Thong Thani, Nonthaburi, Thailand.